Picturing Disney: The first picture. My first trip was in January 2006. 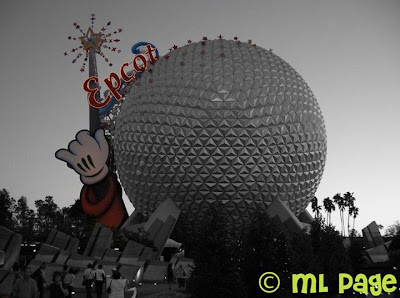 My first Disney Park was Epcot. 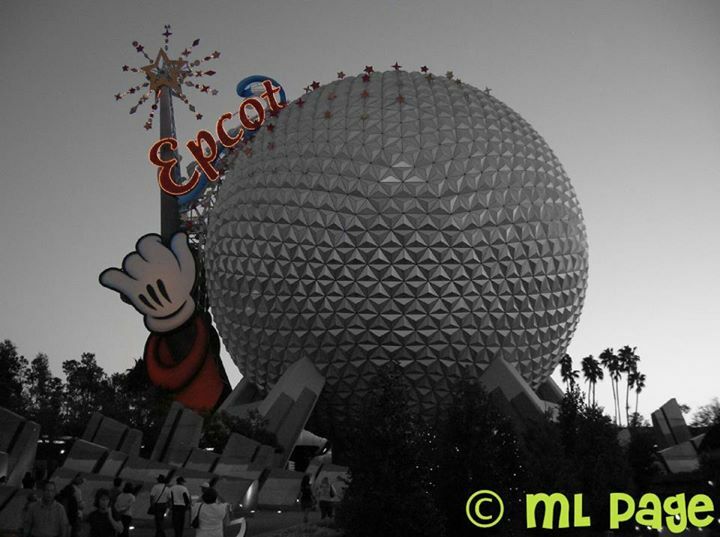 My first pictures ever were of Spaceship Earth. & I used Photoshop to make this black & white save for the wand decorations (inspired by a pic I saw at Disney so I can't take full credit for the idea). I like the technique you used. I miss the wand.